Metropolitan Cebu is some 200 kilometers away from Surigao City. 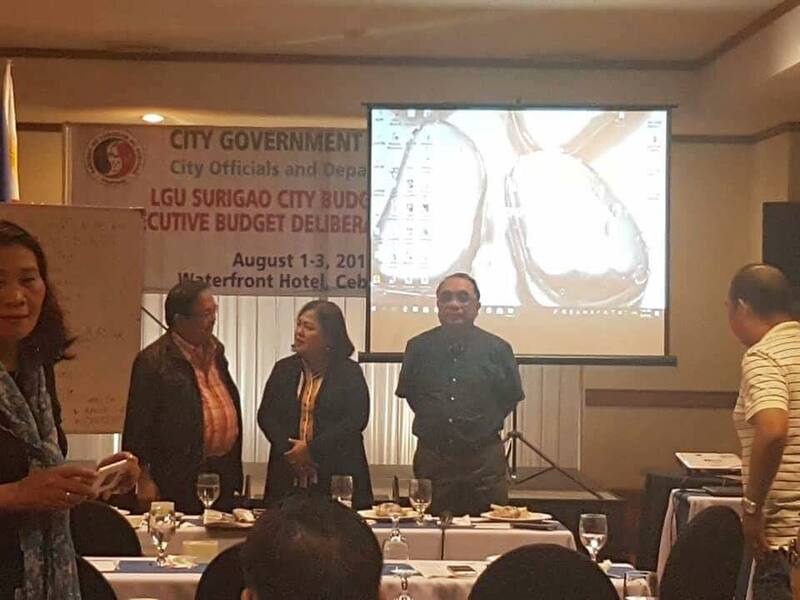 Surigaonon Construction posted this photo asking its followers why the need to go to Cebu just to deliberate on the city's budget for CY 2019. The post immediately attracted varied reactions and comments from Surigaonon. Some criticized the event, while some made a justification. How much did the LGU spend for this event? If you travel Cebu via boat, it will be an overnight trip. The fastest way to reach Cebu from Surigao City is via plane. Did all of the participants take the plane? Did they use the taxpayers' money for it? What is in Cebu that they chose to hold the deliberations there? The event was held at Waterfront Cebu. How much public's money was spent to pull this off?